John Bob Farm Equipment in Tisdale is a New Holland dealer but this year we are seeing some variety of manufactured products on the sales lot. The small utility tractor is almost a necessity in every farm yard and there are a pretty wide variety of machines to choose from. John Deere has a line of small tractors but the market place world wide is dominated by Mahindra, an Indian company that sells 150,000 tractors a year. They manufacture through out the world with three production facilities in the United States. Though the company produces fairly large field tractors, their real strength seems to be in the small units. The 6010 shown here with a cab is very interesting in that it is smaller than most manufacturers utility tractors, but it has all the features. However, the big selling feature for this particular model is its list price of $32,940. With 59 hp it is a capable machine and is four wheel drive. The tractor without a cab in the picture here is a 50 hp 5035 PST and has a list price of $26,500. 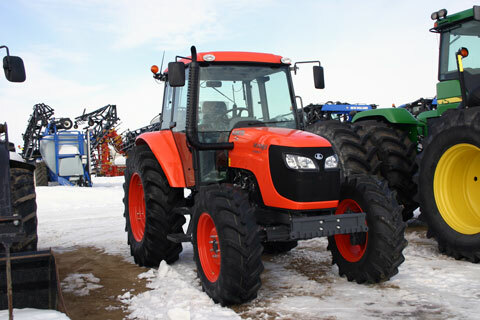 New Holland, John Deere and Kubota have very similar tractors but with a few less features. 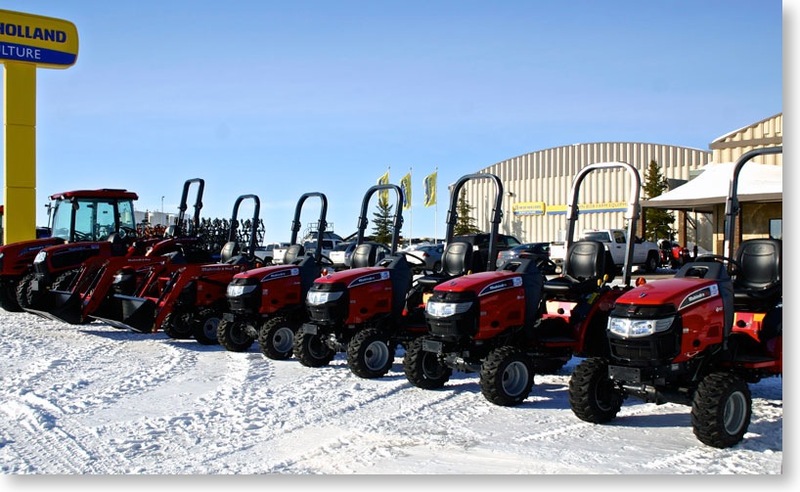 The small ones shown in the line up at the top of the page are Max 25 4WD HST with 25hp and list for $13,440. I was shocked when I discovered that it is hard to find pickles in grocery stores that do not come from India. The fact is that India is taking its place in the world market place with automobile manufacturing and their companies are reaching out into all sorts of fields. Despite Mahindra being the world’s largest manufacturer of tractors it is listed at number twenty-one of the largest corporations in the country. Both China and India are moving right ahead in developing manufacturing technology that rivals and perhaps exceeds other Asian and European countries. Both countries are increasing their defence spending and are exasperated with the military aviation world. Both are solidly on their way to producing their own home grown high tech combat fighter jets and the only thing slowing down their development is the development of engines with all other components designed and build in their own factories. As well as the line of Mahindra tractors John Bob has a lone Kubota M108SDS. The information on Kubota’s web site on this tractor is a bit confusing but it looks like it is 108 hp and has a starting price of $52,072 without a cab.